Esteban Ocon must serve a five-place grid penalty at the Brazilian Grand Prix after taking a new gearbox in his Force India. 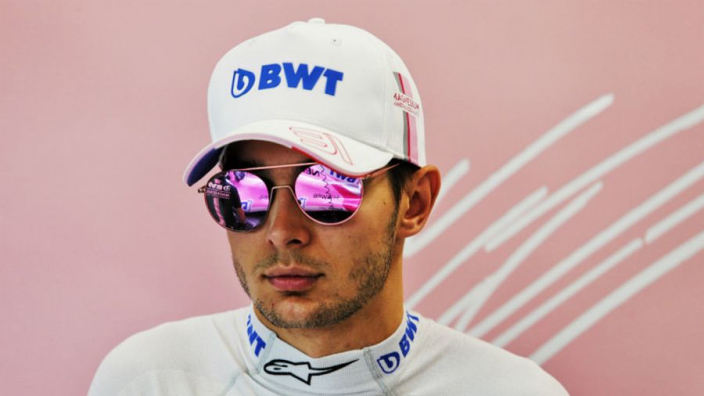 Ocon is the second driver to take a grid drop at Interlagos after Daniel Ricciardo was sanctioned for a chance of turbocharger. Ocon had not used his previous gearbox in six successive races, prompting a penalty. The Frenchman ran 10th-fastest in both FP1 and FP2 in Brazil and is looking forward to making an impact, despite his grid drop. "I am pleased with today," he said. "Both sessions were straightforward for me – no issues on my side of the garage and we did a lot of laps. "It's not an easy circuit to get everything right and there is still some work to do before qualifying. "It's those small details we need to work on to make me feel more comfortable. The target is definitely to reach Q3 tomorrow. In terms of the weather, I don't mind if it's wet or dry." Lewis Hamilton, Kevin Magnussen, Lance Stroll, Daniel Ricciardo and Carlos Sainz Jr are also fitted with new gearboxes at Interlagos, but none will take penalties as the changes are within regulations.